Casey Newton, a teenage girl, is trying to make the world a better place. After a slight mishap with the police, she finds a pin in her belongings. When she touches it, it takes her to something she can only describe as "the future." With the help of Athena, someone who seems to be a little girl, and Frank Walker, former boy genius, they venture to the place only known as "Tomorrowland." The film begins with a look back into Frank Walker's childhood. We see him going to the 1964 World's Fair in New York (over the song "It's a Great, Big Beautiful Tomorrow" from The Carousel of Progress. You totally needed to know that). He eagerly heads to the Hall of Inventions to show off his own invention, a jet pack. The judge (who is House with a British accent) is not impressed with his invention and sends him on his way. However, Athena, a young girl nearby who seems to be an accomplice of the judge, sees his potential. She gives him a pin with a big "T" on it and tells him to follow her, but not to be spotted. The judge, some inventor, and Athena enter the ride It's A Small World (and yes, I sang the entire thing, including the Oh La La! at the end) with Frank in the boat behind them. Not far into the ride, a scanner detects the pin on Frank and takes him underneath the ride to a dock. He gets into an elevator type thing, which teleports him to a place called Tomorrowland. There, a robot fixes his jetpack and Frank flies around enjoying the sights, excited that his invention finally works. Unfortunately, he has no idea how to land. The judge and Athena see Frank and allow him to stay. Next, we see Casey Newton's story. Casey is trying to stop NASA from tearing down one of their bases. She blocks the camera's signal using a remote controlled helicopter, then goes and shuts down several cranes. She does this every night. Back at home that night, her little brother Nate asks what Casey does when she goes to the NASA demolition site. She tells him (in a roundabout way) and Nate is filled with awe and admiration at her bravery. The next night when Casey goes to the NASA demolition site, she is caught. At the police station as she collects her things, she finds a pin with a big "T" on it. She tells the officer that it isn't hers, but he doesn't listen. She touches it and is suddenly transported to a wheat field. She is shocked by this. Later, she tries to show her father the place, but nothing happens to him and he doesn't believe her. That night, she sneaks away to a field to explore the place she saw. The place is beautiful, and every invention imaginable is there. People ride on jet packs, read the news from translucent tablets, and explore outer space as if it they could do it every day. Casey is about to get on a rocket, then the pin suddenly stops working. At home, she searches the internet for a pin like hers, and finds people looking for information on it at a store called "Blast from the Past." She decides to venture there, but will they have what she is looking for? (I knocked a Mickey off for the cursing. Sometimes Disney forgets that they make movies for kids. ☺) This was such a fantastic movie! I was pleasantly surprised by how much I enjoyed it. The special effects were very realistic, and the story line was great. It was much funnier than I expected, as well! There was rarely a time when I wasn't laughing. It is also the most optimistic movie about the future that I've ever seen (besides Meet the Robinsons.) It admitted that yes, the world is failing, but it also posed the very important question: how can we fix it? 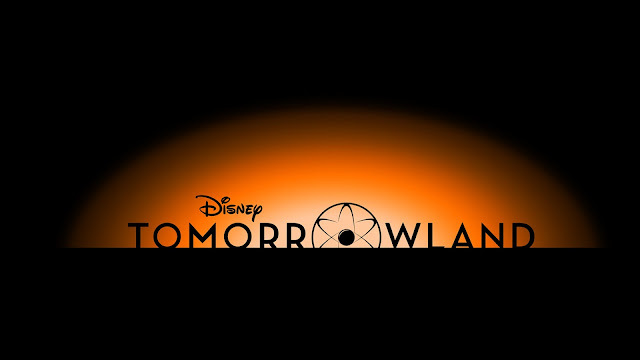 Have you seen Tomorrowland? What are your thoughts?